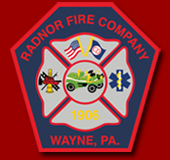 TREDYFFRIN TWP., PA - Radnor Fire Company was dispatched at 4:59 a.m., Friday morning to provide mutual aid assistance to Berwyn Fire Company for a house fire in the 200 block of Irish Rd., in the Berwyn section of Tredyffrin Township. Paoli Fire Company was also alerted to respond. The crew of Berwyn Engine 2-1 arrived on scene with a smoke condition in a single family residence. The homeowners and their three dogs had safely evacuated prior to arrival of first responders. Firefighters located fire in the walls and ceilings in the residence near the front of the home. Chief 15, Squad 15, Quint 15 and RFC firefighters arrived on scene shortly after 5 a.m., providing ground ladder and interior support. The fire was placed under control by Berwyn Chief Eamon Brazunas at 5:38 a.m. The Chester County Fire Marshal's Office investigated and ruled the fire accidental. The total fire loss was estimated at $28,000. There was no reported firefighter or civilian injuries. All fire/EMS units cleared the scene by 7:30 a.m. The Tredyffrin Township Police Department assisted with closing Irish Rd. between Lizbeth Ln. and Greene Rd. They also assisted with sheltering the homeowners and their dogs as the situation was being handled by firefighters. 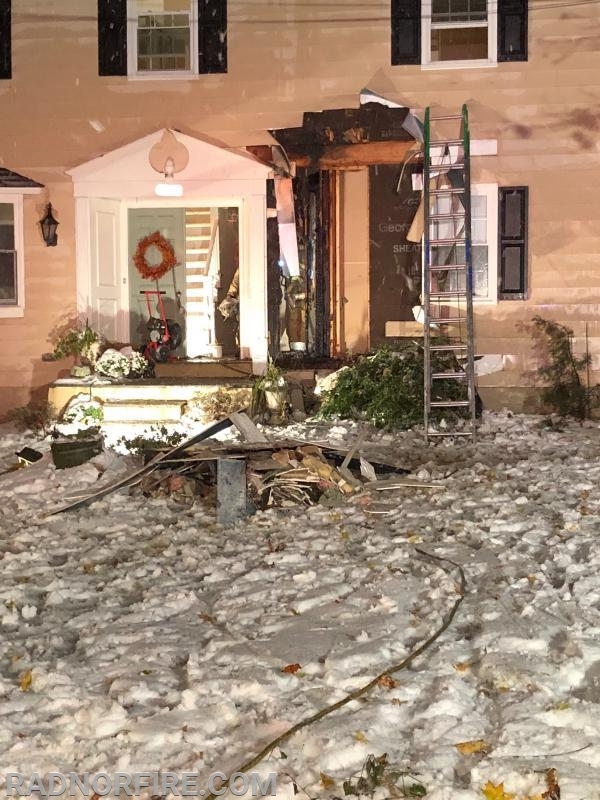 PECO gas and electrical responded to ensure the utilities were turned off, while Belfor Disaster Response boarded up the damaged section of the home. This fire was another great example of the operational coordination that occurs regularly between the Berwyn, Paoli and Radnor fire companies. Thank you to the crews of Newtown Square Fire Company (Ladder 41) and Valley Forge Volunteer Fire Company (Rescue 68) for providing a standby in the event of other incidents occurring in the area.